STARTING UPON THE FOUNDATION OF THE COMPANY WE FOCUS ON PROFESSIONAL VIDEO RECORDING. OUR AIM IS TO SATISFY OUR CLIENTS WANTS APART FROM COMPLEXITY OF CREATIVE TASKS WE SET. Video service for any creative and non-typical event: when everybody says «no» we say «yes»! We are permanently at the process of self-improvement refining on the script and approaching it to be perfect: our clients have no problems at each stage of our cooperation. we add tricks, computer graphics, titles, other special effects, etc. NO BUDGET LIMITATION – YOU DEFINE IT YOURSELF ! Visa, Master Card, Maestro, MIR, etc. Attention: special offers are available for regional and international customers. You will be informed on the offers details and terms if you call us. Are you ready to catch the 25th frame? AO "Rosenergoatom" is one of the world’s biggest Russian energy company included in State Atomic Energy Corporation "Rosatom" has celebrated its 25th anniversary. Certainly, such a historical fact is entrusted to be captured only to the skilled performer. Turnkey contract, development and arrangement of graphic material (startup screens, infographics, mini-videos, etc. ), multi-camera video recording of event, including using of movie crane with 15 m telescope boom and also video editing of several final clips versions – yes, we provide you with this service in case of "turnkey" system! "MacDonald’s Company" is the world’s largest fast food chain. Exclusive team-building events of this giant are full of corporate spirit closing up all the members of this super team. The project of turnkey full-cycle: pre-production, multi-camera video recording of event using camera crane, steadicam system, highly qualified videographers and post-production – creation of corporate video and music clip. OAO "Sibur Holding" is the largest oil and gas Russian holding. 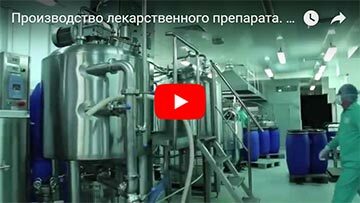 Cooperation with the company has been directed to advertising video production (video clips, exhibitions, location shooting of objects). Full-cycle contract for production of promotional materials including our unique service for aerovideo shooting of the object with 140 ha square, video editing, infographics, 3D graphics, sound making, mastering. The first Italian shop “Eataly” has been opened in Russia. "Eataly" is a square of 7500 m2 full of Italian products, restaurants, coffee shops, gelato houses. "Eataly" content is that food and products are only Italian as well as senior chefs. Turnkey project: working out of video recording conception, multi-camera video shooting of opening ceremony including using of different equipment (camera crane, steadicam, sliders, camera dolly, etc.) and also work on advertising video in "4К" format placed for viewing on a big screen at New Arbat street. For the first time in Dubna city of Moscow region there took place Water Ski World Championship. More than 190 sportsmen and 35 national federations for water ski sport participated in competition. Cooperation with Moscow region Directorate of sport event as part of event of a global scale. Working out of video recording script, video recording and editing of clip at the event opening, turnkey multi-camera recording in mode of OB van, online translation on the Air and the Web. The competition for carriage conductors has been annually running since 1983. The main purposes of the competition are: to select the best professional, popularization of carriage conductor occupation, improvement in service for passengers on the train. Video recording of event from camera crane and camera fully remote controlled as part of OB van. "Federation" is the competition not only for support of regional TV companies and producers of TV content. Its main purpose is promotion of Russian regions in national media landscape. 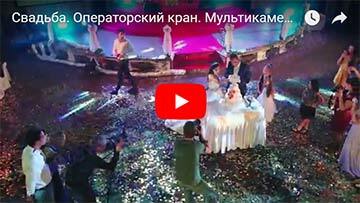 Turnkey project - full-cycle work on the arrangement of ceremony and its online translation: multi-camera video recording of event, camera crane, HD camera fully remote controlled as part of OB van, graphic stations, titration machines, live stream for Russian Federation. 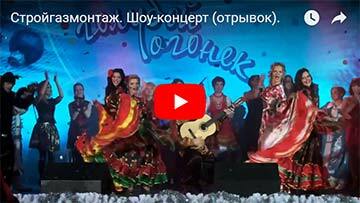 On the eve of 2017 in "Octyabr" Palace of culture there took place the formal closing ceremony of Russian cinema year in city district of Podolsk. To be the honoured guests of gala evening there were invited such masters of Soviet cinema and theatre as: Alexandra Yakovleva, People’s artist of Russia Natalya Selezneva, People’s artist of Russia Irina Muravyova, People’s artist of Russia Emmanuil Vitorgan, People’s artist of RSFSR Leonid Kuravlyov, People’s artist of RSFSR Valentina Talyzina, People’s artist of Russia, the head of Moscow Academic Satire Theatre Alexandr Shirvindt. Multi-camera video recording with using of mobile platform for TV shooting. MILITARY PATRIOTIC HOLIDAY "OPEN SKIES"
It is dedicated to the 85th anniversary of victory in the Great Patriotic War. This day more than 75.000 people visited the military aerodrome Severniy in Ivanovo where there were field kitchens, parachutists, aerobatic team "Sokoli Rossii" and certainly the fantastic musical performance of the band "Discoteka Avaria". Multi-camera video recording of performance, screen translation of event using camera crane, aerial ropeway, static cameras and certainly our professional operator of steadicam system. ОАО "LUKOIL" is one of the largest vertically-integrated oil and gas companies held the conference "20 years of modern history of Russian oil: achievements, challenges, perspectives". Multi-camera video recording, on-line translation of event on video wall and on the Web. 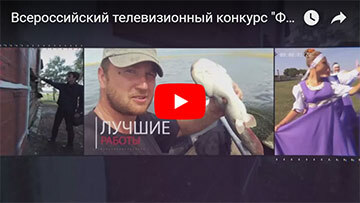 TV company "NTV" presents us the consumer-oriented project "NashPotrebNadzor"- this is a TV program about journalistic investigations of the subjects thrilling for each viewer. The program explains in details how avoid falling for tricks of cheaters and the presenter reveals the guilty and explains using the bright examples how to make difference between fine products and low quality ones. Video recording of TV-program with camera crane as part of OB van. "Pyatnitsa!" is all-Russia federal entertaining channel which is ready to start on air a new show about healthy-living where participants should prove that they are able for many things such as return of self-belief. Every year on the New Year’s Eve the final gala-show and award ceremony for lady finalists of "Miss Office" Contest is held in Moscow. An unforgettable defile of the beautiful ladies with high IQ and the cooperation with "Skvostudio" company - professionals which organize the shooting provide for the footage a guaranteed result getting on in years! Video recording of event with camera crane and fully overhead remote controlled cameras as part of OB van. FESTIVAL OF HISTORIC REENACTMENT "ZARAYSKIY WARLIKE CAMP"
In Zarayskiy region in summer there is a festival "Zarayskiy warlike camp" hold for several days. There everybody can feel oneself like being the participant of medieval history: reconstructions of historical events, interesting militant program, horse tournament, feast with mead and the whole beef on the broiling rack and folk-festival “Zarayskaya Sloboda” at the end. 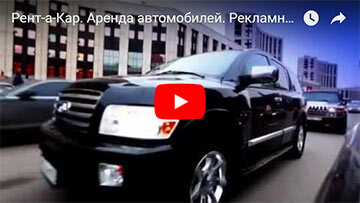 Turnkey project: all video production cycles including preparing, multi-camera video recording during all time of the festival with using of camera crane, copter, wireless technologies for long distance signaling, translation of live stream with video clips and infographics, editing of the result video. ECO FESTIVAL "BEATY IN FORCE"
"YVES ROCHER" company is one of the leaders of world cosmetic market. 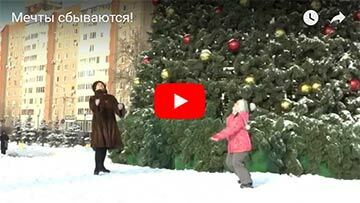 The company has invited those who wish in "Sokolniki" park for joint contribution in the green future of Russia by planting out the bunch trees in parkway. Exciting lectures and master classes, photo show and flood of positive emotions and certainly flash mob outdoors - it was an unforgettable day! Turnkey project: event and staged multi-camera video recording with camera crane and copter. Video editing of the result video. Niyo&Co is Italian company found in 2002, which produces cosmetics, perfume, face, body and hair care products for women and men. Today the company entries into Russian market and has plans to prove itself as a reliable companion for modern youth. Video and photo shooting of opening ceremony for the first company boutique in Russia. "P&G" is the international company producing goods for self-care, family and house care. The company participated in the exhibition "Beauty world" in Guest House. 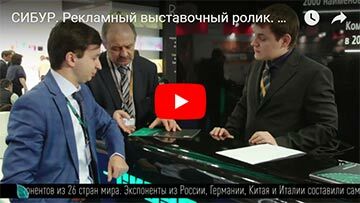 Online translation of master-classes from the stand Londa Professional and giveaways, continuous recording, non-linear editing, color image correction. Whether it is a certain look, the total collection or master-class – each work of avant-gardists team "X-Presion Creativos" plays it close to the edge of art, photography, performance and avant-garde work with hair and hairstyles. On exclusive master show of X-Presion in Moscow supported by "MyDairdressers.com", by means of our online video translation it was possible to see how they created space looks recommendable for the covers of international media. ADRENALINE CYBER LEAGUE is coming back! High class game, fantastic work of international teams-participants and the incredible show - visitors of ice palace VTB could enjoy all this while CS:GO semi-final games. Video recording of event using of camera crane with fully remote controlled video camera. "Henkel" company presented all over the world with its number one brands and technologies held the conference "Growth strategy and financial goals for the period before 2016". Online-translation of the conference from Moscow headquarters was joint with German colleagues, multi-camera video recording, continuous recording, line editing. "Weichai" company (Weichai Power Co., Ltd) is one of the leading industrial enterprises of China, which produces explosion engines installed to mobile power stations, yachts, buses, building and other equipment delivered to Russia and CIS countries. The company takes the first place in the top list of enterprises among Chinese producers of engines. Multi-camera video and photo shooting with online translation of one of the key conferences for distributors from CIS countries. SGM Group of companies – is one of the leading Russian holdings dealing with building at oil and gas economy sector. It was a professional holiday in the special studio provided by professional team "City of projects". Turnkey project: multi-camera video recording including shooting from camera crane, online translations and non-linear video editing of event under TV version. Bank VTB24 is one of the largest financial institutions in Russia. It is the legal successor of Transcreditbank all over its rights and responsibilities. New Year party a la live specific TV program is prepared by professional team "City of projects". Turnkey project: multi-camera video recording including shooting with camera crane, online translation, online video editing and post-production of several versions of video clips. STATE ACADEMY THEATRE "MOSCOW OPERETTA"
The performance venue of Moscow theatre of operetta has become a very well-liked by art-lovers a long time ago. In the context of cooperation, there was a shooting of the cycle of performances and art evenings (TV versions), work on musical "Count of Monte-Cristo”. Full cycle of works on turnkey basis, multi-camera video recording, audio recording and mixing of audio track Dolby Digital 5.1, post-production. Working out and fitting of background for back screen of musical. Video recording according to script as part of OB van at backstage (for TV version). The continuity of generations of Moscow dramatic theatre named after M.N. Yermolova is a power of the theatre. 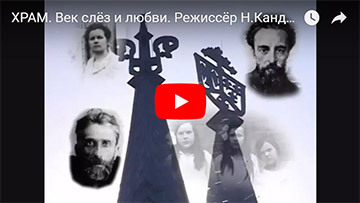 The shooting of the performance about great artist Mark Shagal who got along the 20th century and came through its trials – "Flights with angel. Shagal" with Sergey Yurskiy in the lead. Multi-camera recording of the performance as part of OB van. "Volkswagen" Concern needs no introduction. The contemporary design, German functionality and high technologies - it is all about Volkswagen auto. Corporate movie created as part of team-building. It is the leader in family restaurants segment (casual dining restaurants) in Russia and CIS. On the 6th of June at the restaurant T.G.I FRIDAY’S in "Capitol" shopping mall there took place the annual championship among barmen. The best talents presented their brightest and magical show where extravagant cocktail recipes were created within sight of strict jury and guests. Multi-camera video recording and online translation of contest. 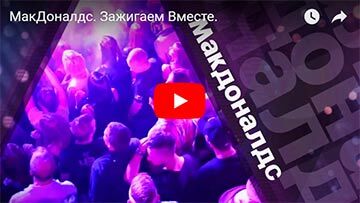 This chain includes more than 30 clubs of different levels: business, premium and luxury in Moscow and other Russian cities. Our cooperation as part of full cycle of work: clubs birthdays, sport events, visit of Hollywood stars. Full cycle of chronicle and staged turnkey works, multi-camera video recording, lighting and sounding, color video correction of image. The company offers a wide range of roofing, waterproof, soundproof and heat insulating materials and the educational films for correct installation. Educational film, full cycle of turnkey works: development of script for video recording, video recording of educational film on tile installation, sound recording of text, film sounding, video editing. Our cooperation as part of arena football Championship for the prize of Moscow region Governor in Zheleznodorozhniy city. Development of commercial concept, multi-camera video recording, online translation on the Web, video editing of commercial, including the work on graphics and sound. 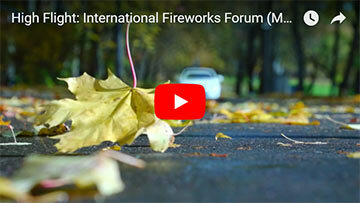 The anniversary forum of “Pyrotechnic brotherhood”: roundtable discussions, lectures, business intellectual games, dances and entertainment, but the most important is pleasure of meeting with old friends, getting to know new people and sure - firework show! Full cycle of turnkey works on video recording of forum for "Piroff" company including using of camera crane. Video editing and preparing of result promo-video. Payment system PayPal provides the opportunity to pay and accept payments in Internet in a simple and safe way for private needs and for business. Production of promo video at specialized trade show. Multi-camera video recording is one of the essential components of video production. OB van (outside broadcasting van) or multi-camera video recording is used while working with show programs, holiday and sport events and etc. Preparing the live appearance or urgent internet meeting you will surely use this type of video recording with an option for online-editing. Our OB van will record the event from several locations and angles. It is important and essential when the action at location is going on in real time mode and there is no chance to improve the footage. For some actors this type of video recording is the only way to measure and analyze the work outcomes because multi-camera video recording is used by professional most of all. We provide the service of multi-camera shooting as well as video editing which can include the use of the adjusted list of visual effects. The gimmick of this kind of recording is the true expression of emotions, which filled the video. Today everybody knows about live stream. However many people make nothing of the fact that online broadcasting works the same way in World Wide Web (WWW) as well as broadcasting to the great halls screens and stadiums. Online video broadcasting in Internet is a great way to make a claim about yourself or your event on WWW air. If you or your company organize a party or some event, promote some product you will scale up your primary audience through online broadcasting for product/event advertising with little effort and expense. Broadcasting window is fitted into specified resource, official site of event and for any number of resources chosen. The sky is the limit when it comes to broadcastings for visitors, which will be the part of your event, comment and share it with interested people. In the age of Internet and IT where the lifetime moves over a distance of smart phone or tablet PC screen you can easily reckon on viewing of broadcasting via mobile devices. Yes, you are right: today organization of online broadcasting process is no longer costly affair requiring a Herculean effort. Everything is simple but of genius, but most importantly that you can easily take advantage of our OB van totally equipped for this service. See for yourself how effective it is! Video recording from the air is the perfect chance to capture the unique and dynamic major frames from high above. Thanks to our professional equipment, this type of video recording discovers unprecedented horizons for your perception while you watch this video. Using our camera cranes you will easily shoot either wedding or promo video or major concert or sport event. Camera crane is the general-purpose equipment, which can be used in all weather: frost, wind, rain or snow. The camera cranes work at outdoor venues as well as at the tight place and they are ultimate for those spaces were quad copters are not allowed. For over dynamic video recording at a large area (landscapes, movie in motion and even for estimation of land property) you can use our quad copters which effectively complete camera cranes. One of the advantage of this type of video recording is the clear participation effect of viewers and advanced attractiveness of the final video content. Upon that, it is important to note the considerable finance saving because video recording from the air with camera crane or copter is not the most expensive device in movie industry. We always cater to your needs, ready to make video recording from the air and provide you with initial material allowing for later processing as well as finished video with effects and music score. Staged video recording as it called by everybody is the type of recording where the participants act according to the action script or dope sheet pre-scheduled. This kind of creative work is used while movie shooting or wedding. The key factor of the successful staged video recording is selection of the proper place called location. The location should be perfect and play into event image of story line. It is important to choose the professional videographer for such type of shooting because he/she is mostly responsible for the nice impressions of viewers while they watch again their wedding movie or romantic episode captured in the movie. The important aspect is how true the emotions of this day or editor's ideas are. Note that the defining role at such kind of work play the lighting conditions of venue. We have all means to install and adjust the lighting so that the shooting day cannot be gloomed even if the day natural light is not available. Our company has a big experience and qualified staff to make the stage video recording. The experience is in our portfolio. Live-event filming is the process focused on capturing of mass and public events, which can be the part of pre-planned script, as well as the event can be completely improvised. This kind of work is very popular with our business clients. Note that while live-event filming the videographer must have a lightning-speed reaction to catch all the details around and the filming equipment should have constant condition of readiness for continuous hours-long work. Live-event filming demands honest, open-minded expression of events including communication with participants briefly commenting for video camera. To make a video of special events or thematic events we are ready to provide you with professional mobile team and it will make any on the spot report, which is important and unique for you. Then in studio, we will make a high quality video editing of video footage with music and audio feedback and the final video will exactly satisfy your expectations. Never a one important event goes without photography. Event photo report with a good quality is the complimentary part of video recording. The main task of photographing as well as video recording is informing of wide audience about the past event: conference, wedding, image company event, new product presentation over the Internet, weblogs and social media Live-event, stage or reporting shooting – it doesn't matter which type you choose, it matters that professional photos of the company event will pass the viewer the solemn atmosphere of the event. The working process of photographer is very similar to the working process of videographer – both must catch an interesting nice shot considering such additional conditions as backing, light, presence of outside objects and people in shot. The photographer professionalism is not only in keeping eyes open and quick making of bright shot but also in work being no bother for other participants of event. Today photographing is variously used in corporate events, weddings, conferences, presentations. If you already ordered video for your event, do not forget about nice photos, which will become the harmonious part of the result material. Studio recording and work with sound is one of the main step while music creation. Music in a greater degree makes the quality of the final video or individual sound track. The principal condition, which we focus on while studio recording or audio mixing is the comfortable listening for the audience. We have the professional certified equipment from such companies as Yamaha, Sony, Mackie, etc. with excellent sound data together with the best experts of our team. Noting should distract the person from music composition. On the contrary, the person should be wrapped up in music and focus on getting the positive emotions. Audio mixing which includes the format of multichannel sound for cinema viewing is the part and parcel of recording process. Initially there is no "ideal" term in studio. The "ideal" is gaining through the detailed processing of the source track. We easily offer you our service in this area and ready to help both with recording and further support of your music composition while integration into video. Our skilled professionals will kindly help you to do it. When you place the order please, have no doubt in the quality and deadlines of your order. Together we create masterpieces! Infographics and 3D-animation become useful when it is impossible to present tough information to viewers through video recording. Animated clip will become the essential supplement for any site, presentation for investor, at any event for easy understanding of the audience. The technology convenience is that through infographics the complicated material is brought to the viewer's attention in common form: graphics and diagrams are dynamically completed; there appear primal elements of virtual reality, which elaborate the speaker in clip. Infographics creation is the alternative for clients with no advertising budget for complex 3D-animation, who want to send a message in simple phrase for potential customer. 3D-animation is the present-day mean giving a modern technocratic style to your clip: the constructions take on life and become three D, static figures of people near the constructions start moving, miniatures take the usual life image, attract the viewer and inspire wonder. Especially if 3D-animaton segues to the real video recording of the object. Our animation experts are highly skilled for projects creation of any complexity. We have orders for the whole range of services: starting from script development and ending with its turn into reality using infographics and 3D-animation as well as classic video recording. Work with us ensures the ultimate product as the result. In work with video the creative approach and blue sky, thinking is very often highly prized. We try to go with the times and follow the technologies. The idea we want to offer has gone mainstream. This kind of work is very interesting and up-to-date nowadays – it is chroma key studio shooting. This type of video recording is when the shooting process is organized against some background, which can be later replaced for some image. This technology is used when the product needs to be advertised against special background or to show the participants of the shooting in the conditions, which make no sense or need to get to. Using chroma key shooting you can turn into reality your craziest ideas: people act as game and movie heroes finding themselves in the incredible Mars atmosphere or desert island. Work with picture shot at green background comes down to cutting out all the green pieces and they are replaced by background invented by producer. Our staff makes sure that you look good in shot, your hair is neatly styled because while chroma key shooting it works on the image naturalness. In addition, we note that our artists can organize any decorations at chroma key studio to turn into reality any unusual bold ideas. Today video service market is full of different offers for various shooting categories. We want to offer you the service combining all the possible variants after video has been shot – the service of video editing for full-cycle content or "turnkey video editing". The up-to-dateness of full-cycle product is in all steps of post shooting work: sorting of video material while multi-camera recording, video editing, composition control, coloring, special effects imposing, writing of original soundtrack, sound recording by speaker, adding of sound realistic noise effects, creation of unique titles, coding of result material to master model of video. Our picture editors work with each element of this chain individually as well as they use all resources simultaneously. Product that you will like is created by coordinated team of experts. Such video content will leave impression on people around, bringing the harmony at each video frame. Our company is provided with all necessary professional equipment, which allows performing any of your requirements for post-shooting production of video. We have orders for video editing of different events: corporate events, weddings, viral advertising and many other things. Dear visitor, here we will tell you about several points while choosing the devices for video recording and processing. We use a highly individualized atmosphere for each video – we do not repeat ourselves and do not use the template shooting method for each project: several cameras, camera crane, quad copter. Our team consists of experts, which choose the necessary equipment especially for your project. 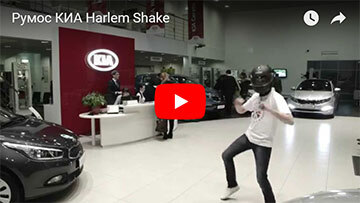 For example, we shot the commercial with cars at the ice stadium using camera crane and in contrast, we used quad copter for shooting in the showroom. Alternatively, another example: people think that wedding video recording should start at lunchtime in spring or summer warm day. However, the main disadvantage of such shooting is appearance of extra shadows. If you start the process in the morning, you will cut costs for additional lighting equipment and get more natural picture with no need for extra video editing with effects. Our team is result-oriented so we use only up-to-date equipment, select the proper venue and invite the professional stylists. Our motto is that nothing will be neglected. We keep step with the latest trends of video recording, use large equipment base for a high quality product as a result. Therefore, if you work with our team you will be satisfied with the result and we will take care of "tools"! © 2008 - 2019 FIRST CREATIVE STUDIO "TVPRO"
PROFESSIONAL MULTI-CAMERA VIDEO RECORDING OF EVENTS, LIVE STREAMS, MOBILE TV-STUDIO, CAMERA CRANE. ALL PHOTO AND VIDEO MATERIALS USED FOR SITE DESIGN ARE THE PROPERTY OF THE COMPANY. TO RESPECT COPYRIGHT PLEASE SHARE THIS SITE LINK WHEN YOU COPY ANY SITE MATERIALS.